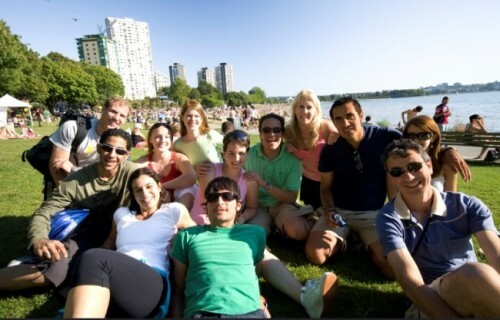 "Tamwood Vancouver - 7% discount on any course"
Learn English at Tamwood’s English school in Vancouver. 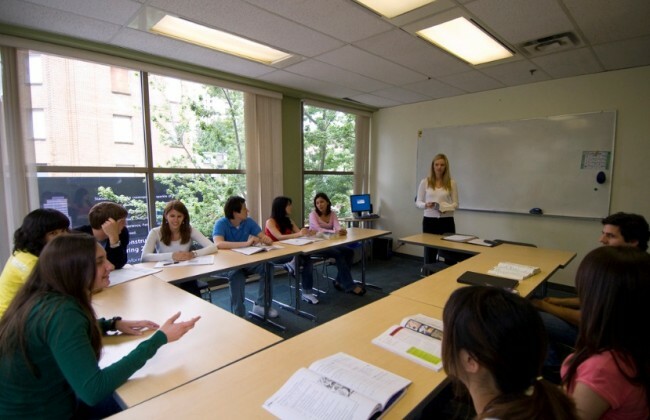 Tamwood's Vancouver English centre is a medium-sized serious school for adult language students, with very high standards and a personal approach. Courses include Learn Fast 30 and Skills Builder 25 English, International Business English, Cambridge FCE Exam preparation and TOEFL Preparation Program. Known as one of the world’s most beautiful and vibrant cities, Vancouver is Canada’s third largest city and has a population of over 2 million people, making it a great place to study English, do an internship / work program, and have fun!. 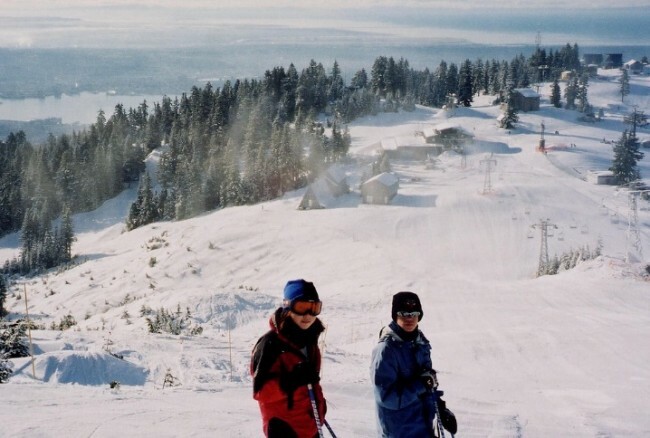 Situated on the west coast of Canada, Vancouver is located two hours by ferry from Victoria, three hours by car from Seattle, Washington and two hours by car from Whistler Resort. 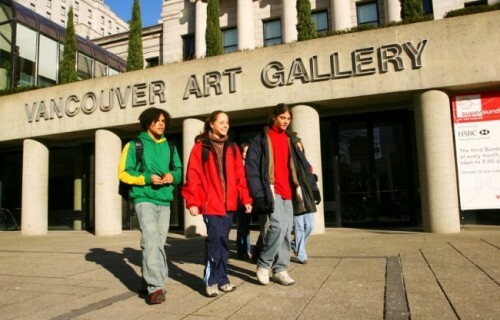 Vancouver is a modern and safe city offering international students stunning mountain and ocean scenery and a vast array of outdoor and entertainment options, events, attractions and services. The Full-Time English programme makes use of the integrated approach to language learning. Classes cover all of the essential language skills. Students study Essential English Skills and take either a Workshop or Evening Class . Students may be assigned by Tamwood to an afternoon class schedule based on their English level, start date, age and course duration. The Full-time English program plus two Elective classes. The Full-time English program plus two Elective classes AND a Workshop Class. Study in the Tamwood University Pathway Program and secure conditional admission into one of our partner universities or colleges, or use this program to improve your IELTS score and academic English skills for admission to other post secondary institutions. This program effectively prepares students for North American post-secondary education and teaches advanced oral and written English skills, as well as IELTS preparation. It is dynamic, wide ranging, comprehensive and academically rigorous. 12 weeks - 25 lessons/ week - successful graduates can achieve an IELTS score of 6.0 or higher and can progress to UPP or directly into specific university/college programs. 12 weeks - 25 lessons/week - successful graduates achieve an IELTS 6.5 or higher and enter a university or college program. This course prepares students for the University of Cambridge ESOL First Certificate (FCE) exam, which students take in the final week of the program. The FCE is at Level 3 of the Cambridge five level system. Through a balanced curriculum students will expand and reinforce their knowledge of the various skills they utilize in writing the 5 papers set by Cambridge. Practice Exams and compositions are an integral part of the program. Students in the 8 week course join the 10 / 12 week course in progress. 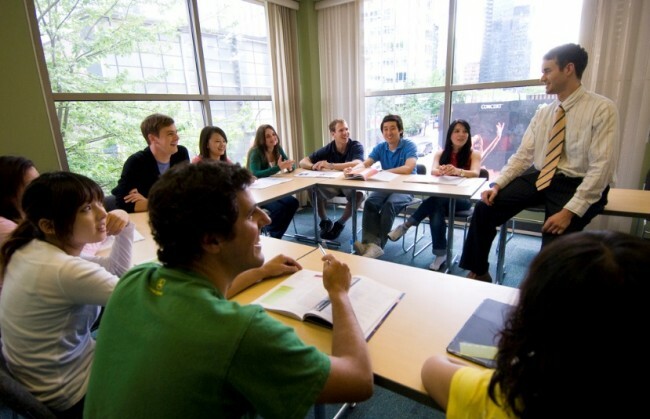 This course prepares students for the University of Cambridge ESOL Certificate in Advanced English exam, which students take in the final week of the program. The FCE is at Level 4 of the Cambridge five level system. This exam is an important certification for students who want to work overseas in jobs that require English language skills (such as medicine, business and engineering). Maximum class size is 12 students. IELTS is taken by over 1 million people each year for academic, professional and immigration purposes. It is recognized by more than 6000 institutions in over 135 countries around the world. This program is based on speaking, reading, writing and listening all in a defined format, and it counts on 25 or 30 lessons/week classes. Tamwood IELTS focuses on identifying weaknesses in student’s skills and building those skills, and offers a lot of practice in test taking, and feedback on the results. Maximum class size is 15 students. Combines specialized classes in International Business English communication skills with essential English language skills training. This course is designed to give students the English skills they need to work effectively in today’s global market place. The afternoon classes allow students to develop their Business English skills and vocabulary through exercises, case studies, role plays and research on business topics including: I.T., finance, accounting, marketing, advertising, sales, negotiation, business practices, and cultural comparisons in business operations. One-to-one private English lessons with a Tamwood instructor designed to meet your specific language learning needs. Accelerate your learning by combining afternoon/weekend private lessons with morning group lessons. Private or semi-private lessons can focus on specific vocabulary, skills or interests. This is especially popular with executives, professionals and those with specific English learning goals. 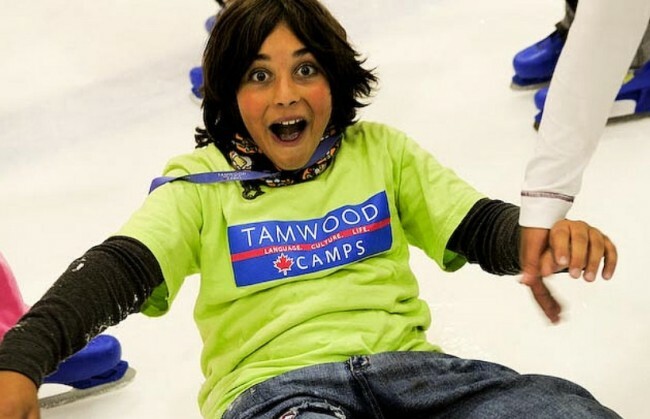 Every year in January, Tamwood offers a Winter Teen Camp in Vancouver for students aged 12-18 years old. The program offers English classes, sports, recreational and cultural activities and exciting excursions. Students live with host families and experience Canadian family culture. Vancouver, Canada is known as one of the world's most beautiful and vibrant cities. Vancouver is Canada's 3rd largest city and has a population of over 2 million people, making it a great place to study English! Vancouver is only two hours by ferry to Victoria, three hours by car to Seattle Washington and two hours by car to the world famous Whistler ski resort. Classes are held at the Tamwood downtown Vancouver campus and feature 15 hours per week of English classes, taught by caring, fun and professional English teachers. Students take part in afternoon sightseeing and cultural activities, led by qualified Activity Leaders. Learning new English vocabulary and speaking practice is a main component of the activities offered. Tamwood has an experience and caring homestay coordinator who carefully screens and selects homestays. Most homestays are 25-40 minutes from the school by local transit. Host provide a warm and caring environment where students can practice their English and experience Canadian traditions and culture. Students are provided with a private bedroom, bathroom facilities, meals and contact with English speaking Canadians every day. 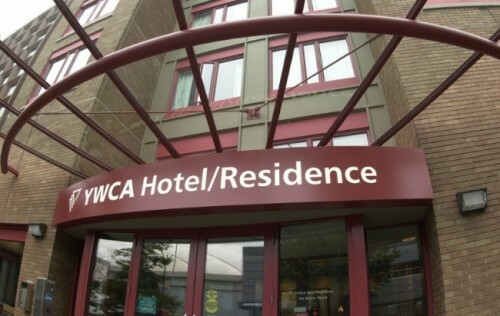 Homestay options: STUDENT HOMESTAY: Single room with shared bathroom facilities. Full or Half Board.